GuruFace is the online network community of Professional and Corporate Trainers.. Free registration for professional trainers and students, register as a trainer or company and manage your training materials and resources.Setup own training portal within a minute and schedule your course.Please visit: www. BRC food safety management system SOP, policy, process approach and exhibits covers guideline for standard operating procedures, process approach and food safety management & control policies to meet BRC standard requirements for certification. It also includes exhibits for haccp food management system. 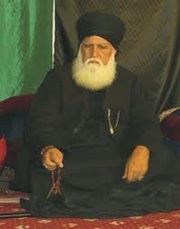 Online magazine for arab women on health, beauty, business, fashion and relationships..
PASAKHAN.Get back your love bY Love Marriage, Affairs, Divoarce, DisturONLINE ZAICHA ONLINE ISTIKHARA VASHIKARAN ONLINE NOORI AMLIYAT AMIL MOLVI BABA SOLVE YOUR PROBLEMS WITH THE HELP OF In my professional consultancy , with the help of Astro-therapy, Astro-consultancy, Astro-counselling ONLINE ZAICHA ONLINE ISTIKHARA VASHIKARAN ONLINE NOORI AMLIYAT AMIL MOLVI BABA SOLVE YOUR PROBLEMS WITH THE HELP OF In my professional consultancy , with the help of Astro-therapy, Astro-consultancy, Astro-counselling & Astro-my professional suggestions, recommendations and guidance on the every aspect of their life. 32 fashion magazines for sale. 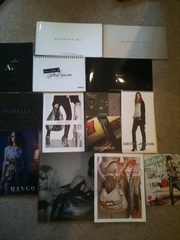 Past Issues of Cosmopolitan, Elle, Instyle, Pigeons and Peacocks, Company, Marie Claire, Tatler, Asos, Elle, Vogue etc. Perfect for fashion students or anyone with interest in fashion! Must go ASAP! Buy or best offer! :) Thanks for looking!. 14 Fashion & Accessories Magazines / Handbook / Catalogues. Includes brands: Coach, Mango, Jimmy Choo, Barbara Bui, Fiorelli, Mulberry, Pandora, DKNY Jeans, Matt & Nat etc. Great for fashion / accessories students as reference..
Hello! 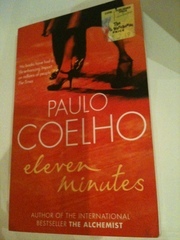 I am selling a paperback fiction novel titled 'Eleven Minutes' by bestselling author Paulo Coelho who also wrote international bestselling novel 'The Alchemist'. Eleven Minutes is based on the experiences of a young Brazilian prostitute called Maria.It tells the story of young Maria living an innocent life in a Brazilian village but later experiences love and suffers great pain. Hello! 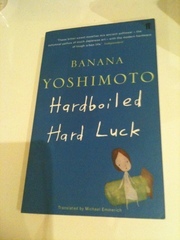 I am selling a paperback novella titled 'Hardboiled Hard Luck' by Banana Yoshimoto, with reviews from Metro, Daily Mail, Guardian, Herald and more. ' Hardboiled Hard Luck is the latest from Banana Yoshimoto - two stunning novellas using the voices of two women to explore the themes of love, loss and memory. Hello! 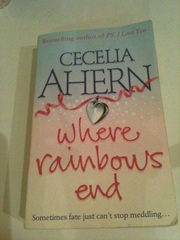 I am selling a paperback romance fiction, 'Where Rainbows End' by bestselling author of PS I Love You, Cecelia Ahern. The edges of the cover and some pages are slightly dog-eared and there is a small crease line on it's spine. It is still in good condition and would love a new owner. :) Postage is not included and is from central London, Paypal only. Hello! 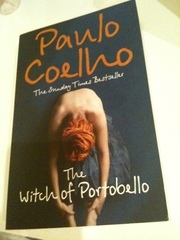 I am selling a Sunday Times Bestseller fiction novel, 'The Witch of Portobello' by Paulo Coelho. The book is in fairly good condition with only a slight smudge on the edge of book and slightly dog-eared edges. Paperback version. Postage is not included and is from central London, Paypal only. Are you in a search of PASMA training or work at height training then, I think BOSS training is your one stop solution forpasma training. I have taken my work at height training from there. And I am satisfied with their training. Visit our site http://www.bosstraining.co.uk/course_ipaf_3_4.html. Read about exciting adventures, the afterlife, romance, and a little bit of danger in the book "For the Love of God and the Heart of a Woman" by Annie R. Brown published at Authorhouse.com The Plot: “Shane, an immortal being, gives his love for a woman, Alicia, and for the love of his God. Read exciting tales of a formula with permanent magical powers, and a mysterious incident of a draught of the magic potion going awry, and how an angry creature was formed. Read also, of Shane Braddenbury and his divine powers, bringing assurance and resolving to find out the making of this mysterious formula. Many colleges offer Plastering Apprenticeship, Fabric courses. College of Building courses deliver a comprehensive range of high-quality learning opportunities related to construction and the built environment and many more.For more information visit our site http://www.lcb.ac.uk/course-detail/fabric/plastering-/109. Love reading? Enjoy going to plays? Want to join a new community aimed at those with a passion for all things to do with English Literature? www.english.specialist.com offers free reviews, resources, and information about all things English. Don't delay, join this community today. Run by professionals for all lovers of English, this website is designed to bring together a community of passionate people to create a new English Specialist - a specialist made up of a commuity of those passionate about English. I have the complete set for sale very good condition I want £10 for the complete set. World of knowledge Magazine Collection from back in the 80's 20 books altogether, listing from January to August 1980. Issues ranging from 1 to 22. It is only missing issue 17 and 18. All in excellent condition. No wear and tear either. Mob: 07507583827 Thanks. Collection of old comic books from back in the '70's/'80's! There are 33 comic books altogether. Minor creasing, and just a few which don't have a back cover, but overall in great condition! . Titles include: Exception to the rule- Issue number 964 Ball of fire- Issue number 1480 (Battle) Arctic. Hi, this is a very old postage stamp catalogue that i had in my loft for years its from 1949 The price is £35 and i think this is a reasonable price for a book this old Mob: 07507583827 Thanks. London car boot sale. Books & magazines for sale ads on online car boot sale in London, second hand Books & magazines for sale in London, Books & magazines ads for free in London, 2lazy2boot - London car boot fairs Page number 4-1.